The Jinwar Village that opened its doors with a mass ceremony on November 25 International Day Against Violence Against Women has formed its village council. A delegation of women from Germany is visiting Raqqa. 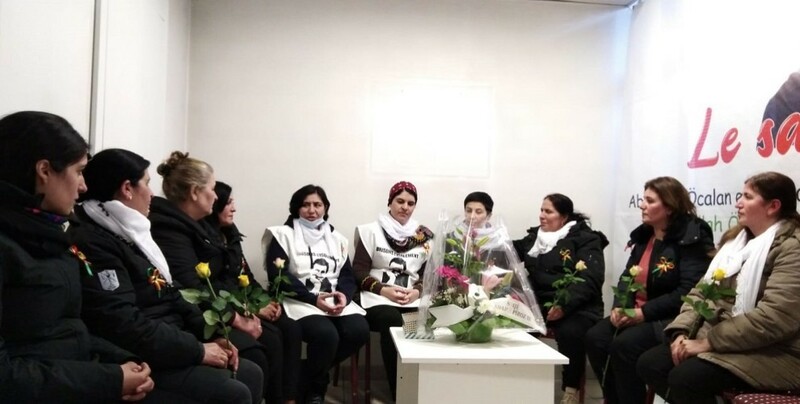 This year’s workshop was dedicated to Sakine Cansiz, a PKK founder and leading figure in the Kurdish Freedom Movement murdered in Paris in 2013 and Gauri Lankesh, who was murdered by fascists in India last year. A documentary imagined and created by former Colombian guerrilla women belonging to the FARC-EP. The HDP Women’s Electoral Commission called on women in Van to turn the 31 March local elections into an opportunity. “Not until the half of our population represented by women and girls can live free from fear, violence and everyday insecurity, can we truly say we live in a fair and equal world,” said the UN Secretary-General. “The idea of ​​establishing the village of Jinwar was an idea of ​​Kurdish People's Leader Abdullah Öcalan. The achievements of women are the result of his ideas and philosophy”. Thousands of women attended a rally in Hesekê Canton to mark November 25, International Day for the Elimination of Violence Against Women. A report highlights the bleak situation of women at work in Turkey: 92 deaths reported in the first 10 months of 2018. "Freedom will develop through the common struggle of women. The 21st century will be the age of democracy and women”. Jailed Kurdish poitician Sebahat Tuncel said: “Leyla Güven’s demand is our demand. We want to end the isolation imposed on Öcalan and ensure his health, safety and freedom”. Demonstrations and actions are taking place all over North Kurdistan to mark November 25. To mark 25 November, International Day for the Elimination of Violence Against Women, demonstrations have been organised in Germany, France, Cyprus and Italy. YPJ commemorated in the person of the three Mirabel sisters all the revolutionary and fighting women and vowed all women to realize a free future. 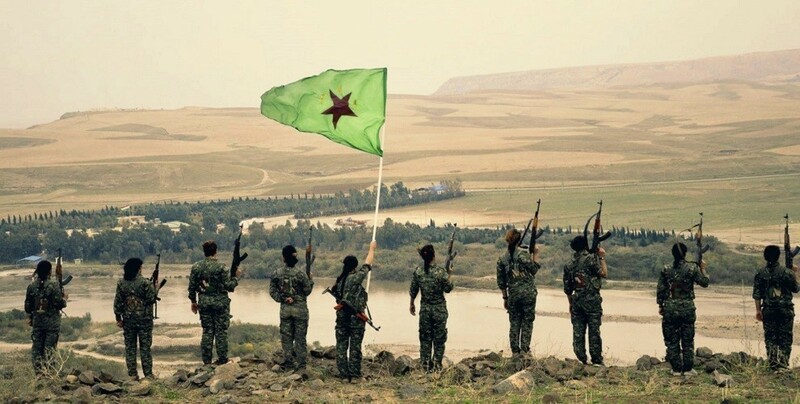 YPJ International on November 25: The time is now! 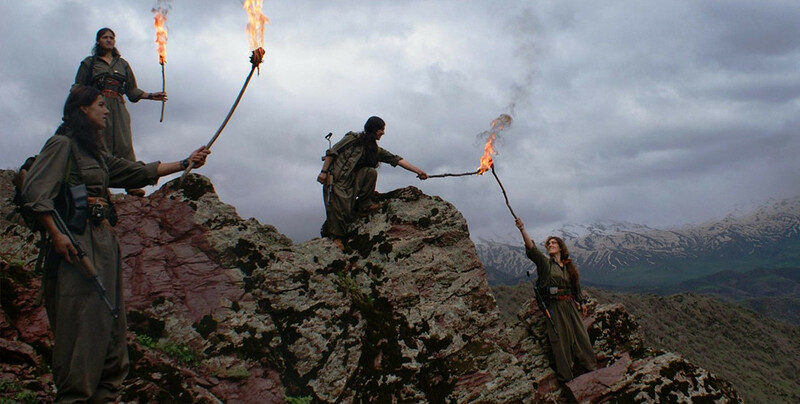 "YPJ involves women as a whole, with her body, mind and spirit, in a constant collective process of developing. Through ideological education we deeply understand what we are defending and more importantly to live and grow together." To mark 25 November, International Day for the Elimination of Violence Against Women, demonstrations have been organised in Paris, Copenhagen and Geneva. Leyla Ibisim from the Berxwedan Camp Kongreya Star Coordination stated that the women crossing into Shehba from Afrin have organized themselves in a short time and won’t accept surrender. Events to mark November 25 continue across Rojava and Northern Syria.